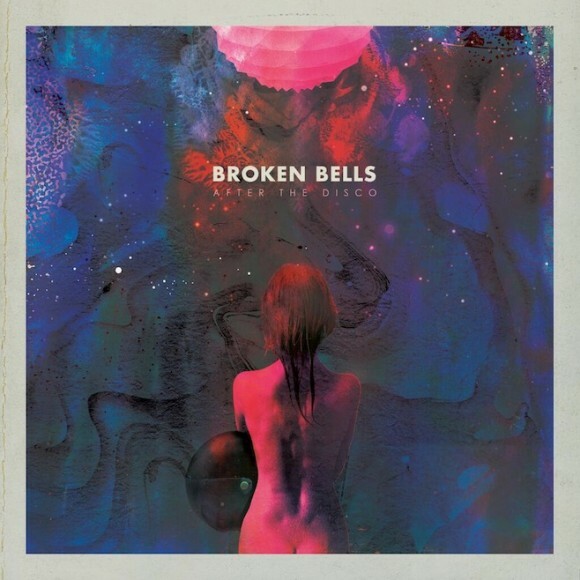 When indie darling super-duo Broken Bells released their self-titled debut in 2010, the music world collectively geeked out over the collaboration: take Danger Mouse (aka producer Brian Burton) and his danceable beats, throw them against The Shins frontman James Mercer’s mellow acoustic crooning, and you get a quietly dynamic blend of smooth pop. After the Disco continues the duo’s partnership, shifting it just a little further into the realm of the electronic, while still keeping Mercer’s melodic guitar and quavery tenor. “Perfect World” starts off the album with a futuristic sound, echoing bass and synths bubbling over fast, tight percussion. It’s a big, clean retro opening, taking the best elements of the ‘80s and giving it Danger Mouse’s masterful digital production touch. “Control” and the title track take the album back even a little further in time, swapping the New Wave aesthetic for funky disco beats, a spunky syncopated bass riff, and bright vocals. “After the disco all of the shine just faded away,” Mercer sings, but luckily for Broken Bells, there’s still some luster left here. Other tracks show Mercer’s influence a little more directly— like in the rich, ripe acoustic tones on “Leave It Alone” or in the arpeggiated chords and mournful strings on “The Angel and the Fool.” But even on these tracks, the duo’s teamwork is still apparent, in the beats and percussion, careful production, and sleek effects. The album ends with the sweeping, cinematic elegy “The Remains of Rock & Roll,” a modern-day waltz with a rocking bass. Though such a title could be construed as a cynical nod to the state of contemporary music, Broken Bells prove that there’s still ground to cover, still new and interesting collaborations to be made. While After the Disco isn’t a historically great or revolutionary record, it’s still a solid, interesting, and enjoyable effort from two of today’s more innovative musicians.